What happens when I inherit a property with mortgage in Southern California? You may have found yourself in a sticky situation when you Inherited a property in Souther California with a mortgage. Fate has many ways to mess with our plans and cause us afflictions and problems .One of those niggling and vexatious moments is when you inherit a property with mortgage. You have the onerous burden of burial and settling other family matters. This is a guide for you to help you deal with such an unfortunate situation as it can be a curse rather than a blessing. You need to be fully aware and cognizant of the proper procedure to deal with such property’s inheritance. You can inherit a property with mortgage like you can inherit any ordinary property but when such thing happens you should not live in complacency and make sure that the inheritance does not have any complications involved. You don’t want to just sit on the matter and wait for it to become a problem which is compulsory to be dealt with. A prudent and astute person in such a circumstance should first record the deed at the county recorder’s office this will make your ownership official. You should immediately contact the title policy and ascertain from them whether or not your property has a title policy on it. This will give you confidence that the reputation of property is untarnished and impeccable. You should also contact a reputed insurance company to make sure that you have a homeowner’s or landlord’s policy on the house. It is quite obvious that the mortgages and liens don’t go away by some magical happenings unless you’re friends with Dumbledore from Harry Potter or Crowley from Supernatural. This is real life and not some criminal-pursuit movie in which in order to rat someone out or in exchange of information, you get enrolled in a wit-protection program of FBI and they give you a clean slate and all your debts are exempted. These mortgages and liens are quite obstinate and tenacious they are like inherited diseases, just less deleterious. The good news is that some of these liens are renegotiable and amendments can be made after reasoning with the lien holder. The right and astute decision would be to consult a professional who has a lot of experience regarding these matters. 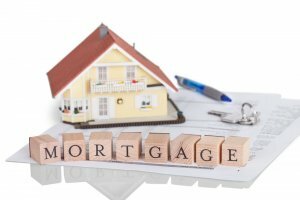 It would be a crucial mistake to just assume that you can continue following the same mortgage agreement which was in place with the lender and the previous owner of the house. The Due-on-sale clause prevents this from happening and according to this law it is mandatory that in case of transfer or sale of the property which has a mortgage associated with it, the lender has the right to call the whole payment due. The Garn-St. Germain Depository Institutions Act of 1982 allows an exception to this rule only in certain cases for example if a married couple owns a property through joint-tenancy (They have equal shares in the ownership of the property) then by right of survivorship in case of death of one of the owner, the 100% property belongs to the other owner. This act also prevents the lenders from using the Due-on-sale clause to demand full payment if the owner transfers his property to his or her children, if a borrower dies and the property is transferred to a relative, or if the property is transferred to a living or inter vivos trust and the borrower is also among the trust’s beneficiaries. Sometimes people are worried when they inherit a property there are lots of memories associated with it which can often be a source of melancholy and sadness for you. You are often stressed and confused as to how to proceed. Don’t worry here are 4 easy to follow steps which you should follow after you inherit a property with mortgage on it to dodge Uncle Sam’s intervention and his niggardly eyes. It is important to mention that these matters are extremely complicated and often there is a dispute between heirs for the distribution of property however following these steps you make the most perceptive decision for yourself and for other people who have stakes in the property. 1) Contact a Tax professional. We’re no CPA’s but we are no strangers to paying taxes. Make sure that you contact a professional who estimates your potential tax liability and has your best interest in his mind. Here is the link of an article written by us which pertains to this. 2) Access the conditions of the property. This can be done by taking numerous approaches depending upon what you can do easily. If the property is far away then simply hire a real estate photographer to take snaps of the property, hiring a realtor is discouraged if you don’t plan to put your inherited property on a listing. You can compare your property’s pictures with the ones which are available on real estate listing and then decide what reparations will cause an augmentation of its price and value. 3) Check the local market to see what houses like yours are selling for. You should go on websites like www.redfin.com, www.zillow.com and www.trulia.com to access the value of houses which are analogous to yours. You should check websites like www.rentometer.com to find out how much your property will rent for. You could also evaluate and approximate the price by looking into active rentals if you see a lot of “Free Rentals”, “Bad credits OK” then you’re probably in a weaker rental market. 4) It is indisputably important that you decide whether you should sell your property yourself or hire a realtor to sell it. We are letting you in on a secret, the realtors call in cash buyers if your property is not in good shape. In such a case when the shape of the property is despicable or undesirable then you should sell it to someone who wants to spend time and money in order to fix it. If you’re a DIY type of person and don’t consider doing stuff yourself as a miserly or stingy activity then you can pay yourself money by fixing things. If the property is in good shape then perhaps the most responsible and most discerning decision would be to contact a realtor and go for listing, hopefully you’ll be offered a very lucrative price or deal. This was a step by step guide to help you understand the ins and outs, the pros and cons of inheriting a property with mortgage. We hope that we could be of some help.